THIS PULITZER PRIZE WINNER’S STILL GOING STRONG! 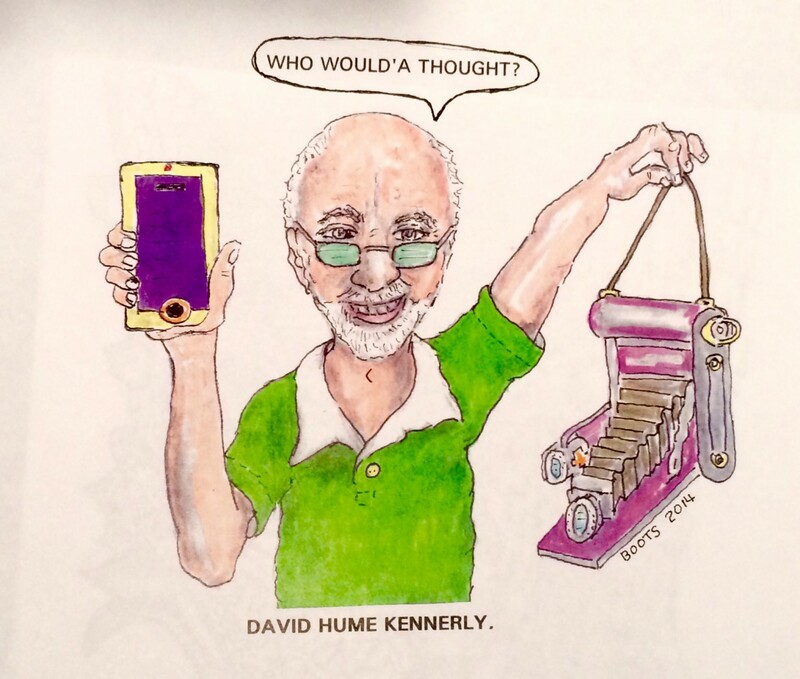 When and if David Hume Kennerly finally passes on, some historian should send his eyeballs to the Smithsonian. For those photojournalist orbs have witnessed history, probed the character of dozens of world leaders, villains and ordinary people, focused on eight wars and covered every U.S. President from Richard M. Nixon to Barack Obama. After Time Magazine ran 25 of his pictures on the cover, President Ford offered him a job as his White House photographer. When I first met Kennerly in 1967 he had arrived from Roseburg, Oregon to join the Los Angeles bureau of UPI wire-photo. Five years later, at the age of 25, he won a Pulitzer Prize as a combat photographer covering the Viet Nam War. “I created this book,” he said, “to help others become better photographers; to show what goes into a good picture. That includes soul. To pass on what took me a lifetime to learn. “Now let’s get back to 1967 and my favorite Kennerly caper. One afternoon Kennerly shows up at a shootout in Manhattan Beach. Arthur Glenn Jones, an escaped killer from San Quentin, armed with a revolver and packing dynamite, was holed up in a motel on Sepulveda Blvd. As an explosion blew the roof off the building, Jones tumbled out of a shattered window. Kennerly began shooting one frame at a time as the mortally-wounded fugitive crawled toward him, looked into the lens of his camera and died in focus. During his long career, David has traveled to more than 140 countries, doing what he likes best to do. As his wife Rebecca will testify: Take pictures. (Boots’ new book, THE HUMAN RACE, is available on Kindle and in paperback on Amazon.